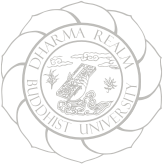 Professor Ronald Y. Nakasone recently returned from a pilgrimage, visiting sites in India and Nepal associated with the life and ministry of Śākyamuni Buddha. Through photographs and stories from the pilgrimage, he will share insights on the historically significant sites from the Buddha’s life, including the ongoing archeological excavation of Kapilavastu. Join us for an afternoon of watercolor painting with artist Lorraine Capparell. During the workshop, we will learn to paint landscapes while incorporating secrets and surprises that invoke the viewer to discover and think of the world in a new way. This lecture will provide an introduction to the Buddhism of ancient Gandhāra and its rediscovered literature, show how scholars decipher and study the Gāndhārī manuscripts, and discuss their relationship to Pali and Chinese Buddhist literature. DRBU Symposium invites you to mark your calendars for the Second Annual DRBU Student Symposium on Sunday, February 24, 2019. DRBU admissions is hosting an info session in Taipei on January 6, 2019. Join in this hands-on workshop to get started expressing your insights from eastern and western classical texts through the medium of comics. Art classes in drawing and woodcut printing with the DRBU Arts Initiative. Let’s create together.